You know how they say that only the top 10% of an iceberg is visible, and the other 90% is hidden under the water? Even though the exact statistic tends to change depending on who you’re talking to, the fundamental principle is the same; whether talking about the unconscious mind, the hard work that contributes to success, or even a literal iceberg, sometimes, what’s on the surface is only a preview of its true potential and wonder. What a brilliant way to describe music. In the case of the music industry, singles make up the tip of the iceberg, whose very purpose is to fulfil the role of bait; to lure potential fans into listening to the artist’s new album. But is this always successful? Despite being the gateway to a whole new musical landscape, their immense popularity, and well-funded promotion, so many opportunities are missed when singles are the limited extent to which listeners indulge. Pencil Full of Lead created a fanatical frenzy when it was released 7 years ago; it was a refreshing, jazz infused, feel-good tune that made even the most stern of us rhythmically nod our heads when it came on the radio. This album, however, is an example of how a single does not represent the full beauty and range of the artist’s talent. Sunny Side Up is a diverse compilation of songs which reflect many different moods; No Other Way is a track which highlights Nutini’s impressive vocals whilst simultaneously succeeding in being a beautifully written love song, whilst Keep Rolling is a mellow tune most unlike Pencil Full of Lead. Hozier’s debut album grew immensely in popularity thanks to the much admired single Take Me To Church, a track which launched Hozier onto the music scene in 2014. And thank god it did. Boasting an impressive 7 singles, Hozier is a beautiful collation of soulful and folk-instilled symphonies, enforced by the unique and poetic vocals of the Irish musician. 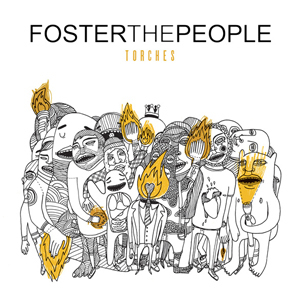 There is no party playlist in the world that should not contain Pumped Up Kicks at least twice. True story. Fortunately, this glorious tune is not the one hit wonder of the American Indie-Pop band. In fact, it was born from a whole family of epic tunes that deserve just as much admiration. My personal favourites I Would Do Anything For You, Waste, and Don’t Stop contribute to fact that Torches gained 7/10 stars from the prestigious NME. I, however, believe that it deserves a whole galaxy. The American duo burst onto the music scene in 2012 with the impressive track, Can’t Hold Us, followed by the culturally relevant, Same Love, and lastly the insanely popular international hit, Thrift Shop. The Heist is full of beautifully crafted lyrics carrying socially relevant political messages, such as in Neon Cathedral, but unfortunately this deeper meaning is often missed by the preconception created by the carefree attitude of hits such as, Thrift Shop. There is no denying the immense talent that Katy Perry so effortlessly displays; the striking vocal in E.T is a perfect example. But what this album so brilliantly proves is that the pop princess is not just that; she’s not just a pretty face with a pretty voice, she’s clearly an intelligent and strong woman. Tracks such as Pearl and Circle The Drain highlight a dimension to the artist that I feel is not made clear through songs such as Last Friday Night and California Gurls.